Even if you aren’t a hockey or sports fan, there was a lot to love about the first Goon film. The movie was funny, profane, and filled with a heart. It had everything audiences love about a classic sports movie, but with a level of raunch and comedy that was distinctly modern. It also featured a great cast. 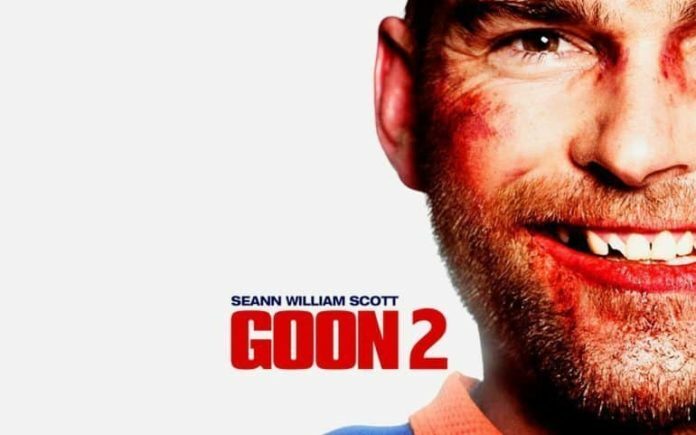 The trailer for the sequel, Goon 2: Last Of The Enforcers has now been released. It seems most of the cast has returned, with Jay Baruchel (co-star and co-writer of Goon) taking over directing duties as well. It also looks like the raunch is not only back, but amped up as well. Warning the trailer is most definitely NSFW. You can watch it below. Goon 2: Last Of The Enforcers stars Sean William Scott, Jay Baruchel, Kim Coates, T.J. Miller, Liev Schreiber, Elisha Cuthbert, Wyatt Russell, Alison Pill, and George Tchortov. The film is written by Jesse Chabot and Jay Baruchel, with directing by Baruchel. It is scheduled for release in March 2017.